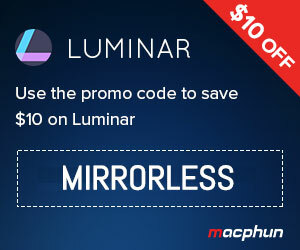 Micro Four Thirds is currently the mirrorless system with the most lenses. Even Fujifilm and Sony which have been pumping out new glass at a brisk and steady pace have a long way to go before they can catch up with the variety provided by this particular mount. So, why does the system have so many lenses? It all comes down to a few factors. First, there aren’t one but two main camera manufacturers (Olympus and Panasonic) who have chosen this mount for their mirrorless cameras. 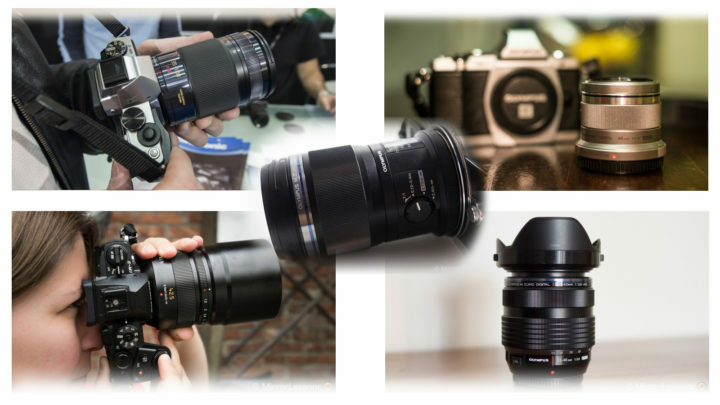 Second, there are many third-party lens manufacturers that have taken an interest in producing lenses for the system including Tamron, Sigma, Voigtlander, Kowa and Samyang. 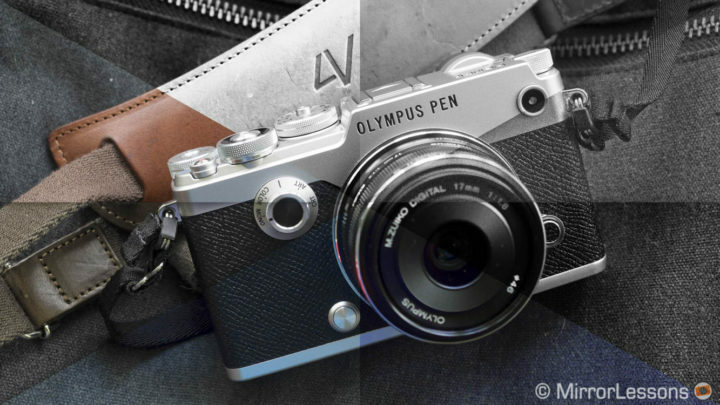 Finally, Olympus and Panasonic were two of the first camera companies to start producing mirrorless cameras and lenses, and as such, got a head start over the competition. 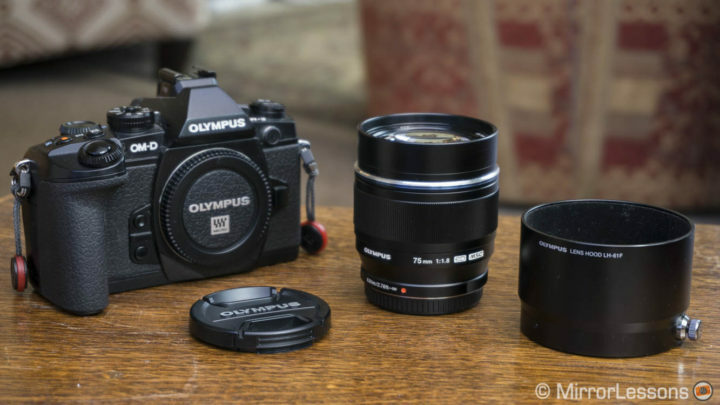 In this article, we’re going to looking at what we feel are the best Micro Four Thirds lenses for the OM-D E-M1 II, the brand new flagship camera from Olympus. As you will see, most of the lenses we’ve selected match the professional nature of the camera on which they’ll be used. However, we’ve also included some budget options for those who are just beginning to experiment with a given genre and don’t wish to splurge on expensive glass right away. Important note: all Micro Four Thirds lenses from Olympus and Panasonic provide complete autofocus and aperture control. 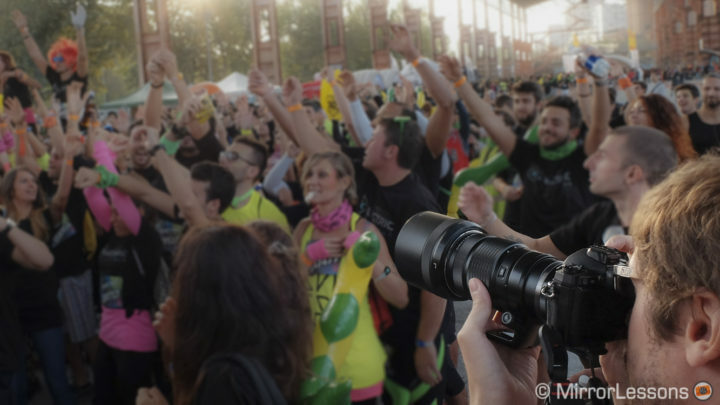 We’ve used many Panasonic lenses on OM-D cameras with excellent results. However some of the special features of the E-M II, such as Pro Capture or Focus Stacking, only work with select Olympus lenses. 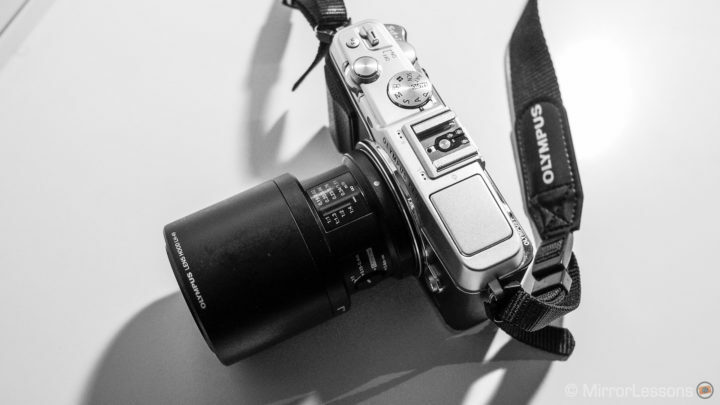 Ethics statement: The following list is based upon our experience with the E-M1 II and the following Micro Four Thirds lenses, most of which we’ve used for an extended period. We were not asked to write anything about these lenses, nor were we provided any compensation of any kind. 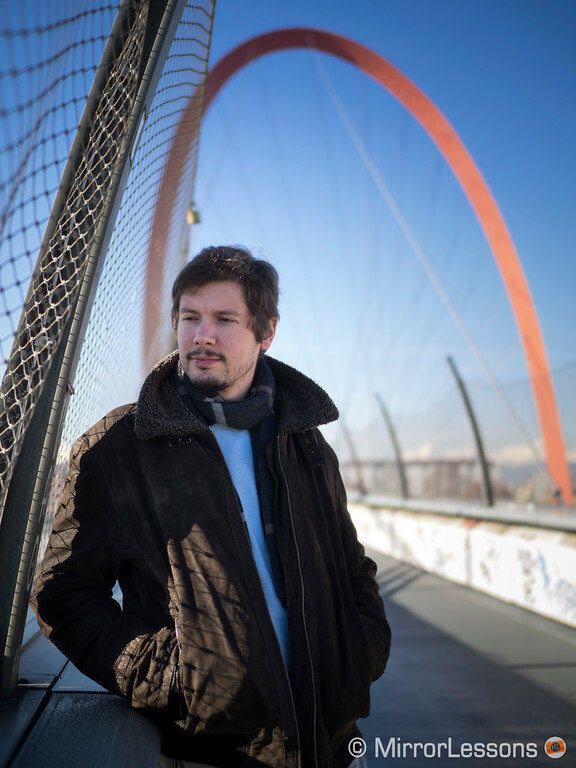 Within the article, there are affiliate links. If you buy something after clicking the link, we will receive a small commission. To know more about our ethics, you can visit our full disclosure page. Thank you! 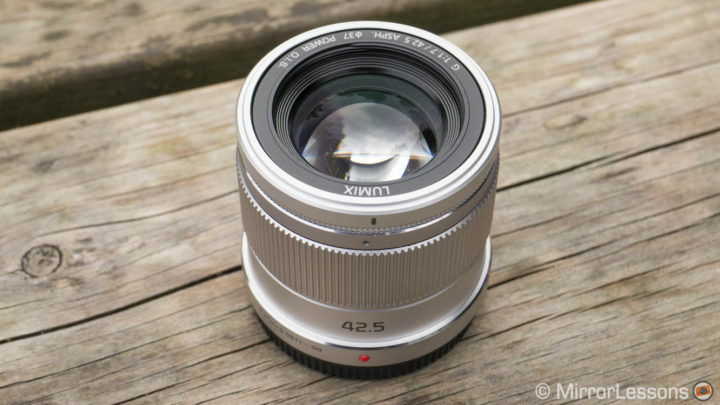 Our top choice for landscape photography is the M.Zuiko 7-14mm f/2.8 PRO. Not only is the optical quality of the highest standard, but the f/2.8 aperture also makes it possible to take hand-held landscape and architecture shots in low-light if you take advantage of the E-M1 II’s 5-axis in-body stabilisation. When combined with the minimum focus distance of 20cm, you can also achieve more shallow depth of field with this zoom than with others of its kind. Like the other PRO lenses, it features full weather-sealing, an Fn button and a clutching focus ring. 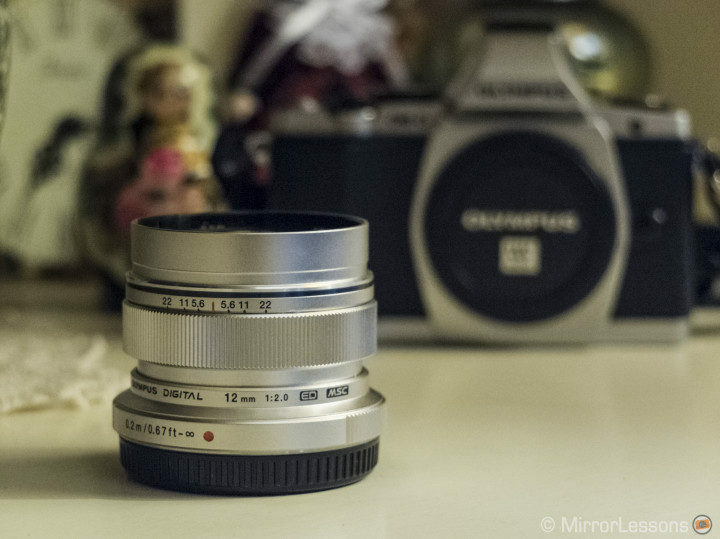 Being one of the bulkier Olympus lenses, it suits larger Micro Four Thirds models such as the E-M1 II. 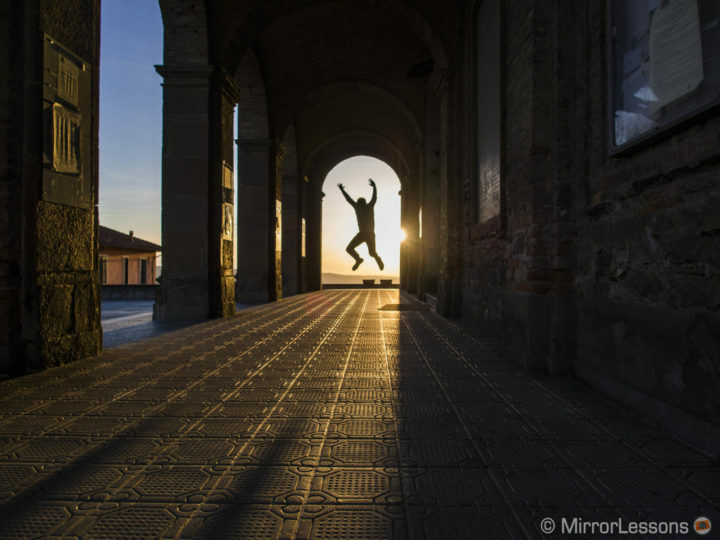 There are few primes within the Micro Four Thirds range that produce such high optical quality as the Panasonic Leica 12mm f/1.2. Thanks to its wide angle, it is an excellent companion for landscapes and architecture, while its fast aperture makes it the perfect choice for events or astrophotography due to the lack of coma. It features a premium weather-resistant build, a nice array of external controls, and very little chromatic aberration past f/2. 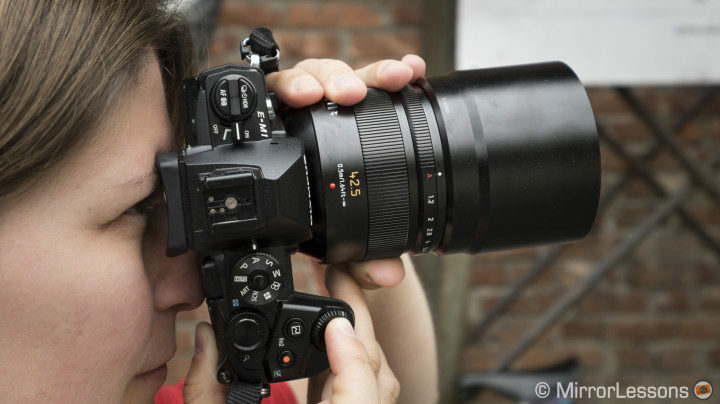 Though it is larger and heavier than many MFT primes, it remains a good match for professional bodies like the E-M1 II. Its only drawback is flare: it can appear in many forms, the most common being rainbow flare. Note: on Olympus bodies, the aperture ring is not effective. You must use the normal exposure dials on the camera to change the aperture. 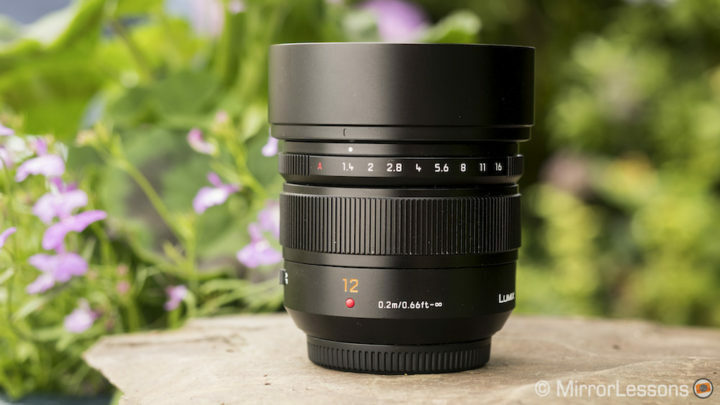 The M.Zuiko 12mm f/2 isn’t exactly affordable but it certainly won’t take as large a chunk into your wallet as the 7-14mm or the Leica 12mm. On a personal note, it was the very first M.Zuiko lens we ever bought and though we later replaced it with the M.Zuiko 12-40mm f/2.8 PRO, it proved an irresistible companion for landscapes, cityscapes and architecture during the time we owned it. Being extremely small and portable, you can fit it anywhere (even inside your jacket pocket), and its fast 2.0 aperture makes it useful for low-light photography. The rendering is sharp, even at the fastest aperture, and it features a sleek metallic body. If you have a soft spot for small primes, this little gem is the way to go. It’s big. It’s heavy. It’s very expensive. It’s everything a MFT lens shouldn’t be, but the Leica Nocticron 42.5mm f/1.2 produces some of the most fantastic image quality you can get for the system. We’re talking a fast aperture of 1.2 that allows the lens to gobble up light like hardly any other MFT lens on the market, no distortion, extreme sharpness from edge-to-edge, and a bokeh so soft and beautiful that even full-frame users will sit back and admire the results. Let’s just call it the Leica touch! Is it worth the investment? If you are anything but a serious portrait photographer, probably not. But that doesn’t stop us from appreciating the craftsmanship that went into designing this lens. Again, remember that the aperture ring won’t work on the E-M1 II. 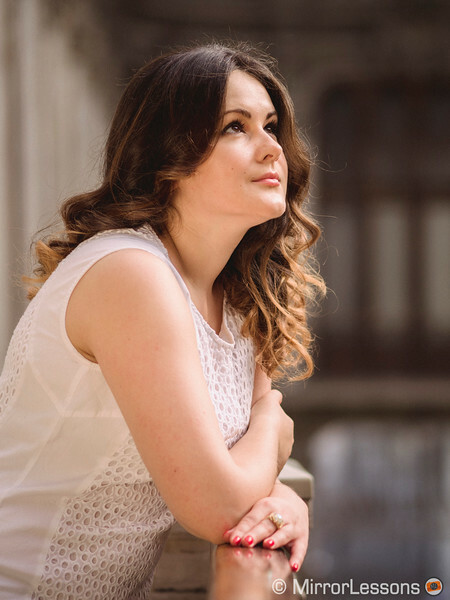 If you desire a portrait lens that is lighter and more compact than the Nocticron, you cannot go wrong with the stunning M.Zuiko 75mm f/1.8, which we’ve personally owned for over two years. As of 2017, it is the only professional portrait offering from Olympus and has been praised for its sharpness and beautiful circular bokeh. 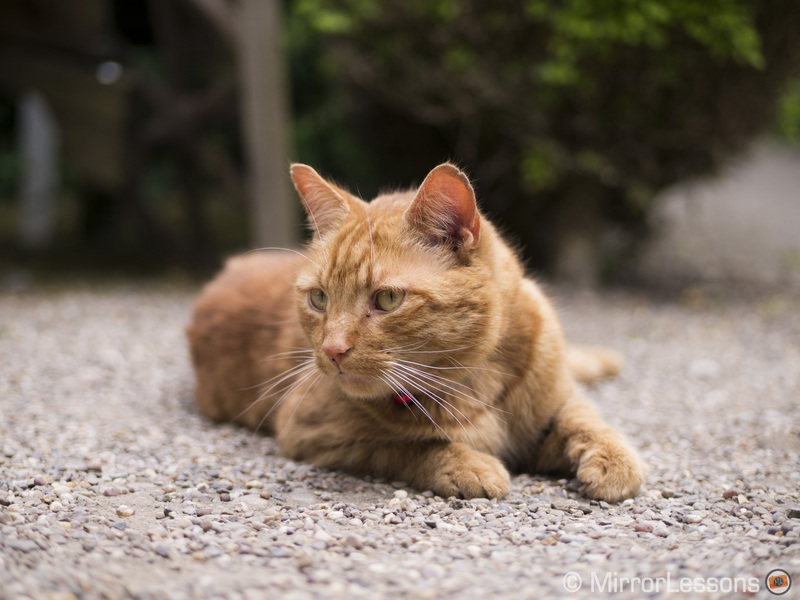 Thanks to its fast 1.8 aperture, it is very suitable for low-light shooting and achieving a shallow depth of field. Although it features a robust metal housing, it lacks all weather-sealing, which is the only point that lets this lens down. It has a fast and silent AF motor and we often use it for sports and events too. 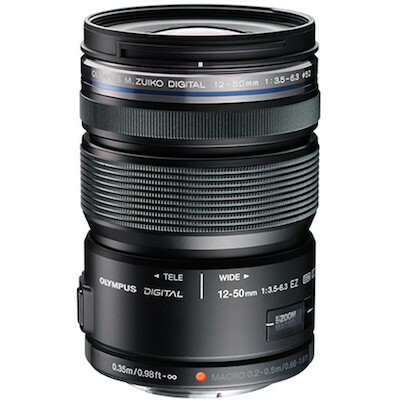 There are two affordable primes that can fit in this category: the M.Zuiko 45mm f/1.8 and the Panasonic 42.5mm f/1.7. I decided to include the latter because it has a more robust build made of metal rather than plastic. 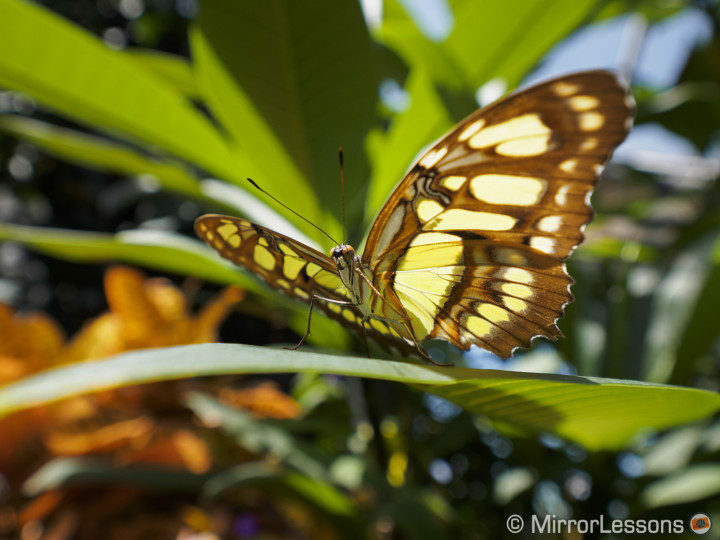 The optical quality is very similar including the bokeh and sharpness at the fastest aperture. The Lumix lens can focus closer (20cm) which is another advantage and suffers less from chromatic aberration at the fastest aperture. This little portrait lens is definitely a keeper. Plus, due to its tiny dimensions, you can easily decide to pop it into your bag or slide it into your jacket pocket at the last minute as it won’t take up any space. 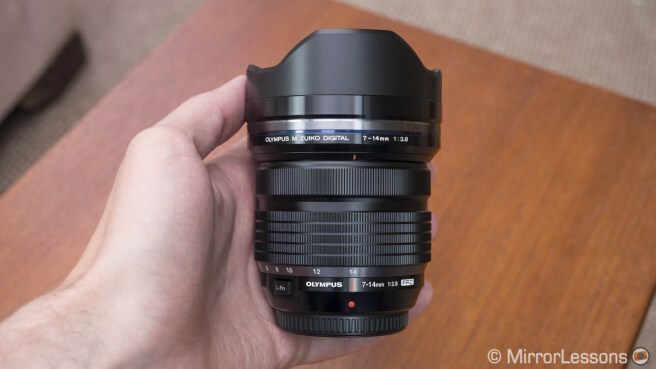 One of the most important points in the 42.5mm’s favour is that, like the aforementioned 12mm, it perfectly represents the ethos of the Micro Four Thirds system: the combination of compactness and high quality. The M.Zuiko 40-150mm f/2.8 ED Digital is smaller than similar lenses offered by the competition and offers more versatility in terms of the zoom range. Simply put, you can’t find a smaller lens on the market today capable of offering an equivalent 80-300mm with a constant 2.8 aperture. 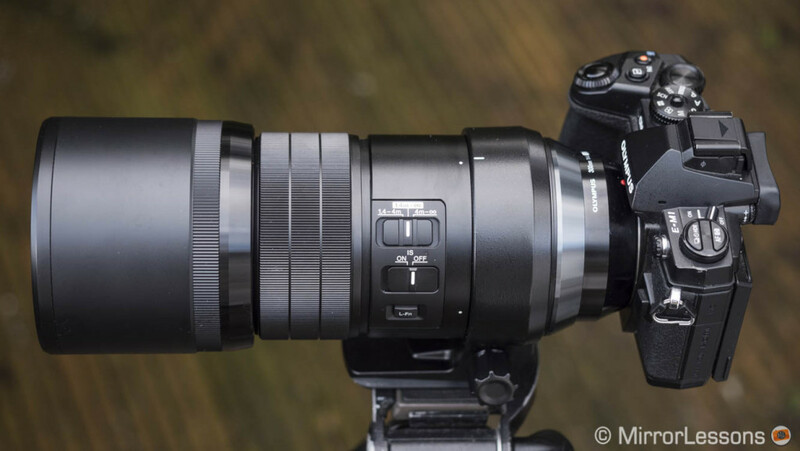 But its size and weight aren’t the only things that matter: this lens also delivers great results in terms of sharpness, bokeh and overall rendering. 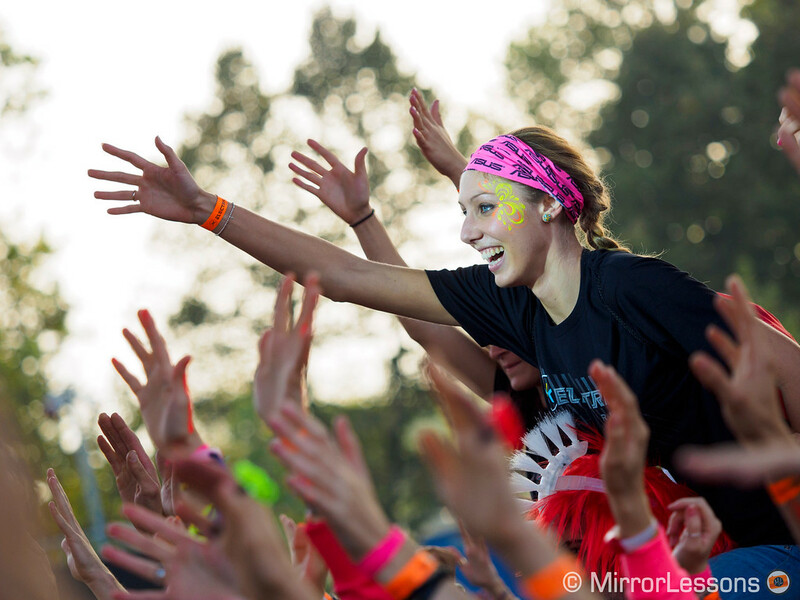 It can be used for a variety of purposes including events, portraits, sports, and wildlife. The optional MC-14 teleconverter is the proverbial “cherry on top” because it allows you to extend the zoom reach to 420mm (full frame equivalent). With the exception of the various lens/teleconverter options for the system, the Micro Four Thirds zoom lens with the longest reach is currently the Panasonic Leica 100-400mm f/4-6.3 and it delivers excellent optical results through the zoom and aperture range. The autofocus is also very fast, and though it matters little on the E-M1 II, it comes with Power O.I.S. and compatibility with Panasonic’s Dual I.S. system. Additional features include weather-sealing, a tripod collar and a number of external controls such as focus limiter, Power O.I.S. and AF/MF switches. Important Note: this lens is not compatible with the Pro Capture mode of the E-M1 II. 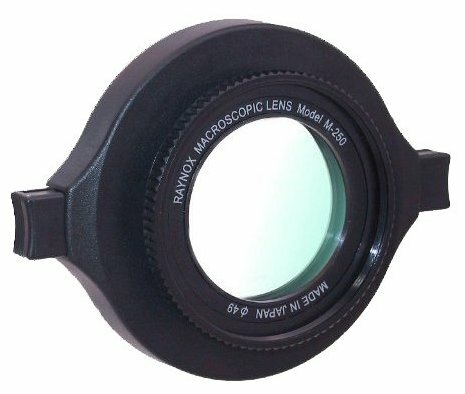 Many users have reported an issue when switching the focus limiter on the lens to 5m-infinity so you must keep it to FULL. A firmware update might fix the latter issue. As for Pro Capture, it is less likely there will be an update. If you want a faster lens at 300mm (600mm equivalent) that is also fully compatible with all the E-M1 II’s new features including Pro Capture and Focus Stacking, then the 300mm f/4 Pro is your only option. Sharpness is optimal from the fastest aperture and you will most likely keep it there most of the time. The AF motor is fast and the lens is one of two Olympus lenses that feature optical stabilization. This means that on the E-M1 II, you can take advantage of Sync IS (sensor and optical stabilization) which is very effective not only for stills but also for video. The lens is certainly not cheap. Actually it is the most expensive on this list but if you are an advanced wildlife photographer, it could be the perfect choice for you. It also has an excellent minimum focus distance of 1.4m and is compatible with the TC 1.4x teleconverter. 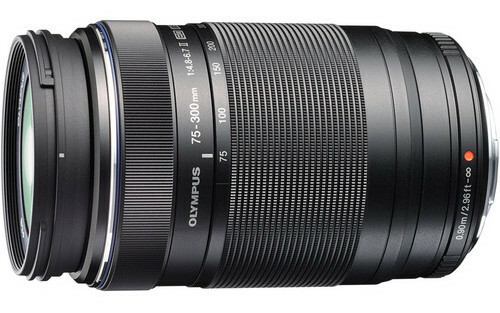 Of all M.Zuiko zooms, the 75-300mm f/4.8-6.7 is that with the longest reach, making it extremely versatile. 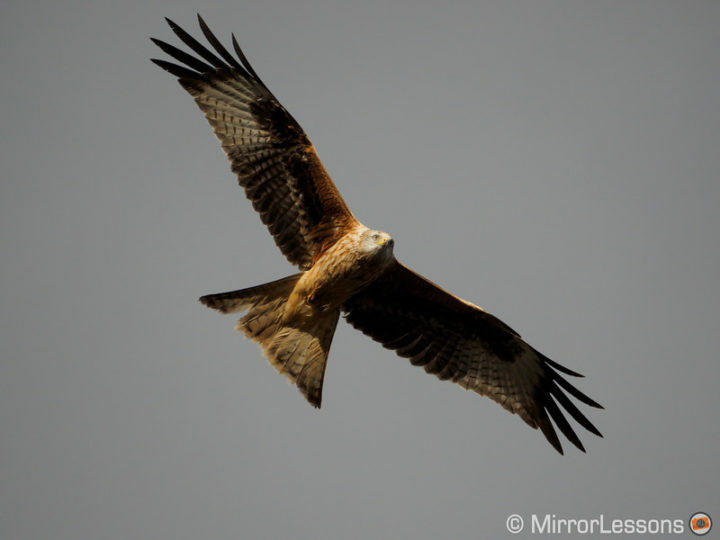 Of course, being a “cheap and cheerful” telephoto zoom, you won’t benefit from the same optical quality or autofocus performance as you would with either of the previous options but it remains a good starter option for those just beginning to dabble in the world of sports and wildlife. 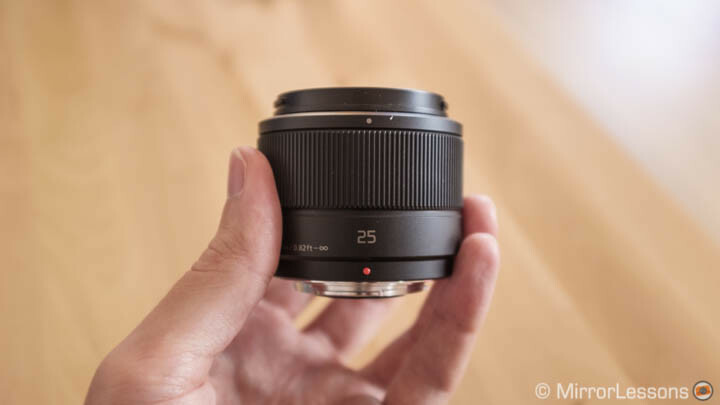 One of the latest PRO lenses to appear on the market, the M.Zuiko 25mm f/1.2, has already stolen the hearts of Micro Four Thirds users with a penchant for excellent sharpness and a gorgeous bokeh. Even at its fastest aperture, where lenses tend to be quite soft, it performs almost as well as it does at f/2 in terms of detail rendering. Like the other PRO lenses, it features a solid weatherproof build and comes with a round lens hood that protects the front element. The only downside is that it is quite large and heavy compared to the other 25mm Micro Four Thirds primes, but this doesn’t pose a problem on a professional body like the E-M1 II. 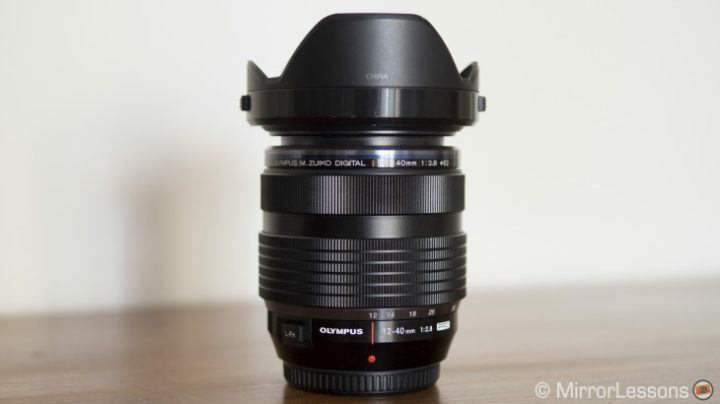 It is also expensive but it is currently one of the best Micro Four Thirds lenses you can find. 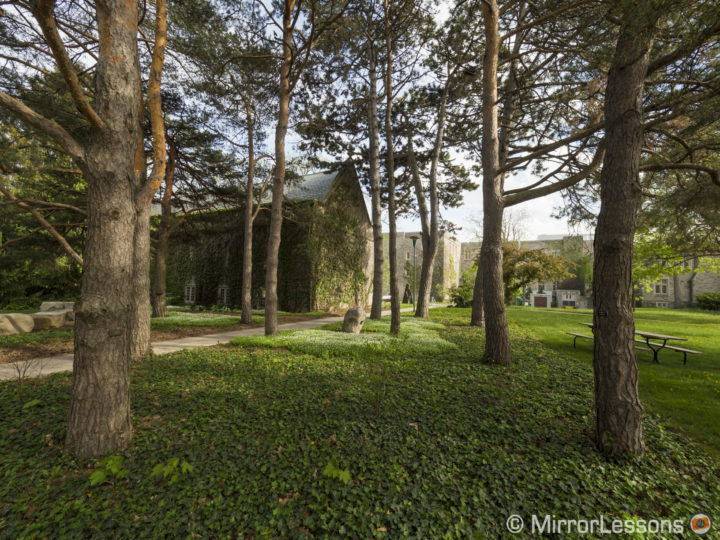 It is difficult to turn a blind eye to the ever-versatile 17mm f/1.8. Design to be used on the streets, it provides excellent optical quality and it offers a focal length that is extremely close to the classic 35mm focal length that street photographers know and love. Take into consideration the fast 1.8 aperture, quick autofocus and clutching focus ring and you have the ideal companion for low-light shooting as well. As with many M.Zuiko primes, the 17mm is very compact and lightweight, and is as such, well-suited to any Olympus body, including the E-M1 II. I chose the 25mm f/1.7 for a number of reasons: not only is it one of the most affordable MFT lenses at the moment, but it also feels more robust, focuses fast and provides good optical quality. 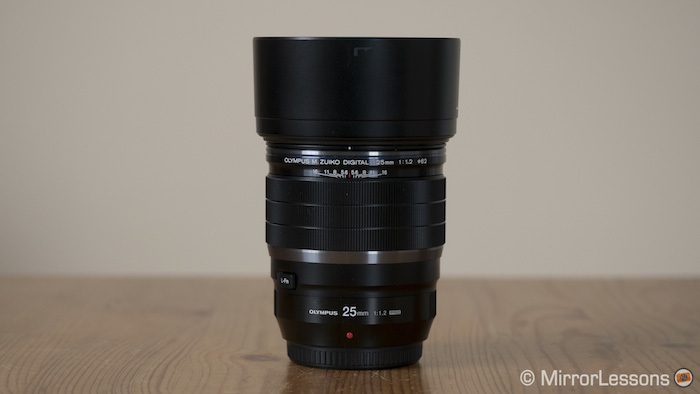 It certainly cannot compete with the 25mm f/1.2, but this lens is good considering its price and compactness. If you don’t care about having a very fast aperture or the best optical quality for your work, this lens is the way to go. Although there are four macro lenses for the Micro Four Thirds system, we personally find the M.Zuiko 60mm f/2.8 the most versatile. 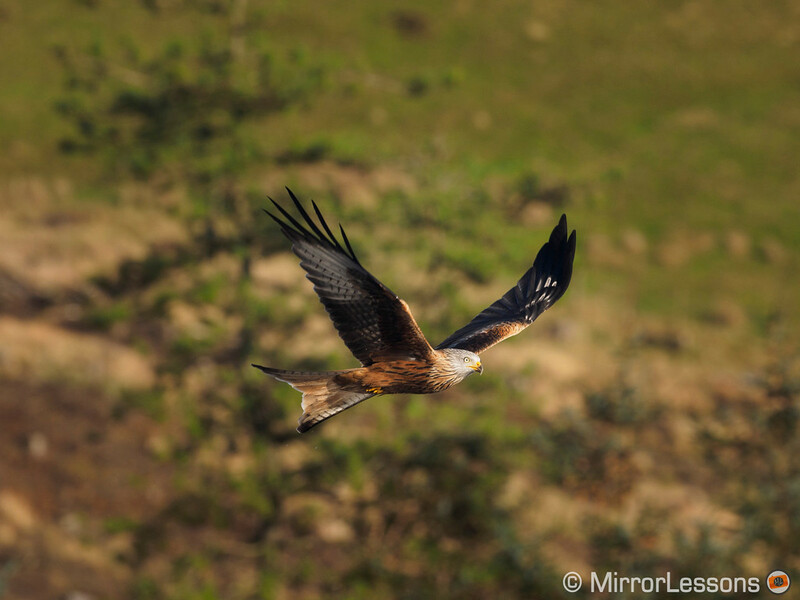 Once again, we have a lens that embraces the spirit of the Micro Four Thirds system. The lens is very small, and you can reverse the lens hood over the barrel when not in use. This means that the lens remains compact even with the lens hood attached. As for the image quality, it’s nothing short of excellent. With its maximum reproduction ratio of 1:1, the lens does a great job of isolating small subjects with great sharpness and detail. The bokeh is very nice, as are the colours. It even includes a focal limiter switch on the side to help you select your desired focus range for faster focusing. I often use it to jump straight to 1:1 magnification. With the E-M1 II, you can also take advantage of focus bracketing and focus stacking. 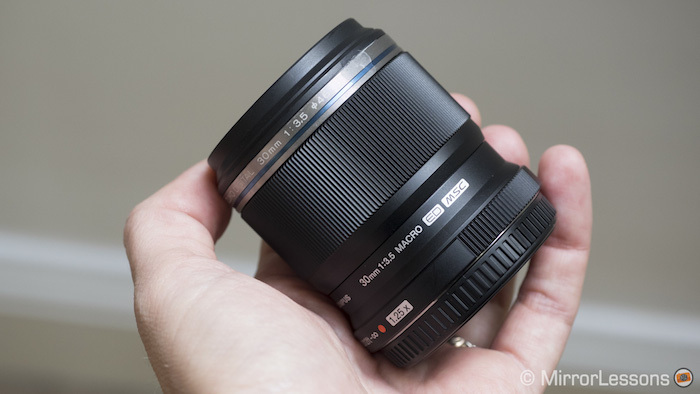 The M.Zuiko 30mm is the lens with the highest magnification (1.25x) of all Micro Four Thirds lenses. 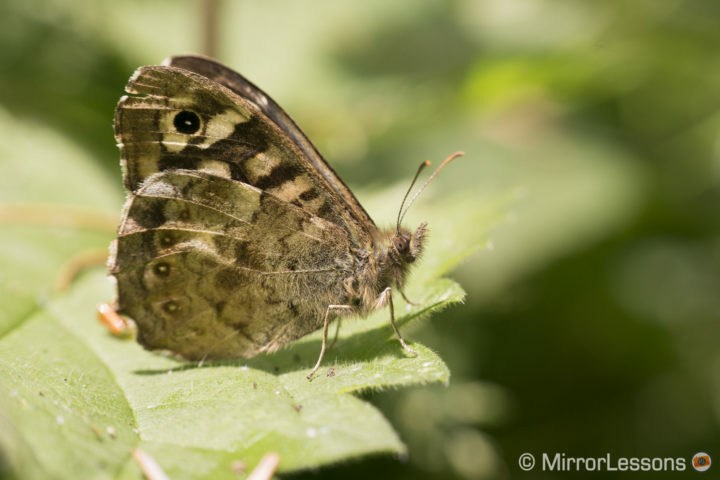 With a closest working distance of just 14cm, you can get extremely close to your subject – so close, in fact, that the lens can cast a shadow if you don’t have the proper lighting. Since the working distance is so close, the 30mm is more appropriate for inanimate objects than living subjects. It is just as sharp as the 60mm and is one of the smallest lenses for the system. 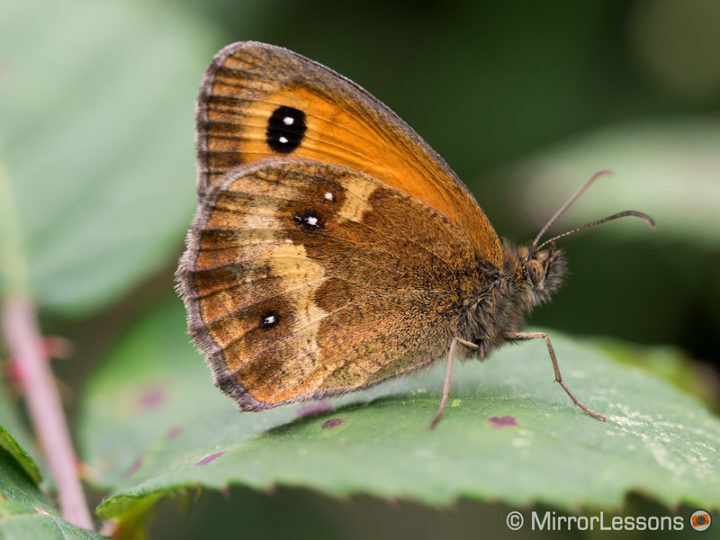 An inexpensive alternative to a dedicated macro lens is the Raynox DCR-250 macro adapter. Compatible with any lens with a focal length of at least 50mm (or 25mm in Micro Four Thirds terms), it allows you to capture beautiful macro images that are both sharp and detailed. 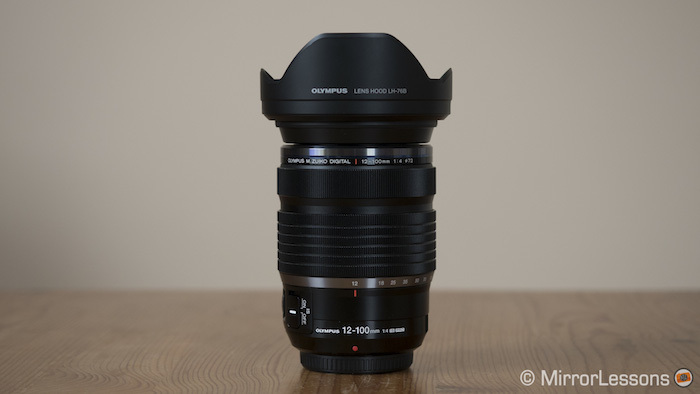 For example, we achieved great results using this adapter on the M.Zuiko 75mm f/1.8. The only real limitation of the Raynox is the very narrow depth of field it generates. Using it will also interfere with the lens’ autofocus speed, so it is best to set it to infinity and rock the camera back and forth to focus. If you are looking for extreme versatility and want an all-purpose lens mainly for travel purposes, the 12-100mm f/4 is one of the best we’ve tested. It has superb optical quality for this type of lens and while the constant aperture isn’t particularly fast, it features the most impressive optical stabilisation we’ve found on a lens. 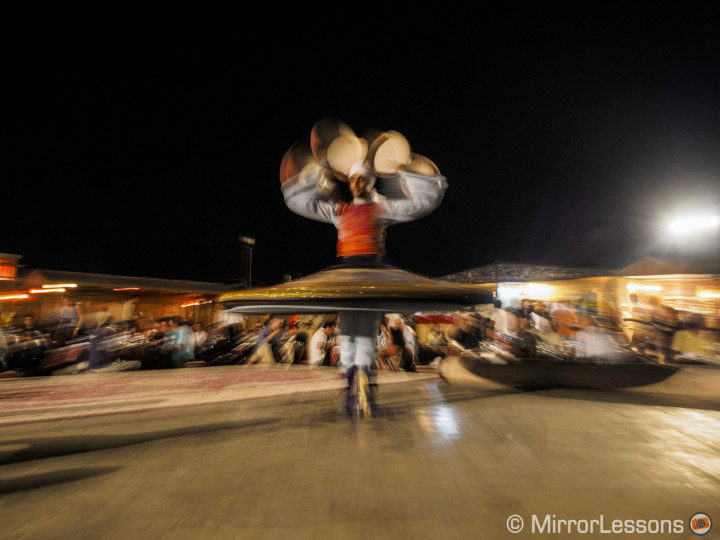 For example, on the non-stabilised Lumix GF5, we managed a sharp hand-held shot at 4 seconds with the lens set to 12mm. 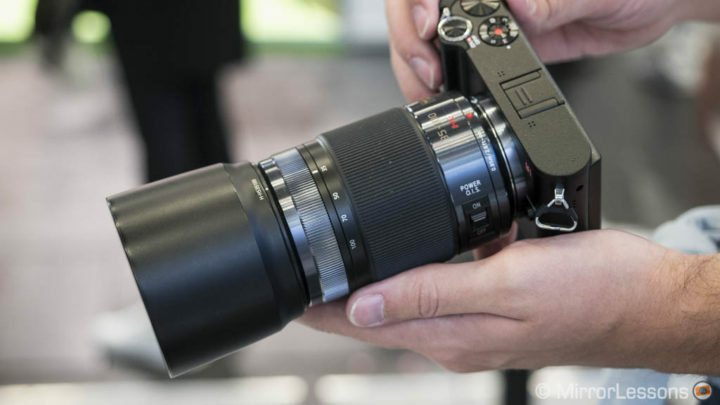 The performance becomes even more impressive when combined with the 5-axis stabilisation of the E-M1 II. This combined system, called Sync I.S., makes it possible to take hand-held shots at shutter speeds as slow as 10 or even 15 seconds, though your hit rate will be much higher between 3-5 seconds. The autofocus motor is good for action shooting and its weather-sealing allows you to use it in even the most difficult weather conditions. 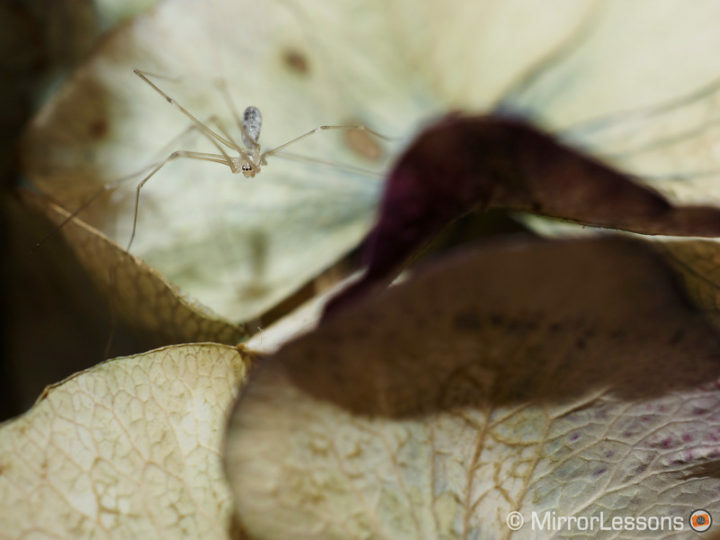 The minimum focus distance is an impressive 15cm at 12mm and 45mm at 100mm. As an all-purpose solution, we’d be hard pressed to recommend a better product. 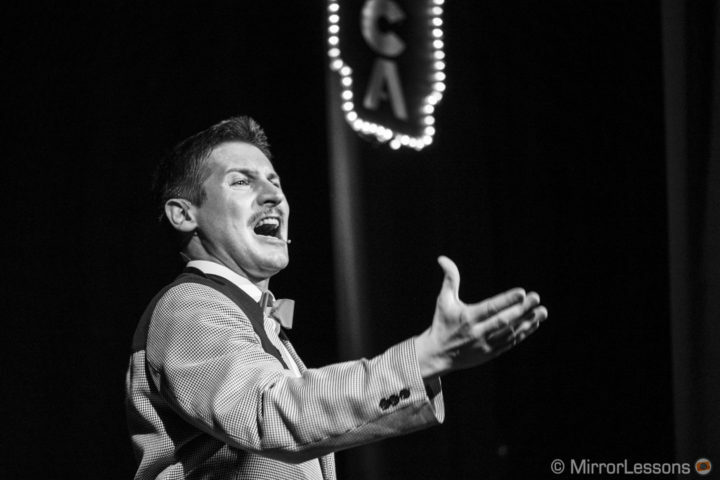 You’ve probably heard the old saying, “Jack of all trades, master of none”. 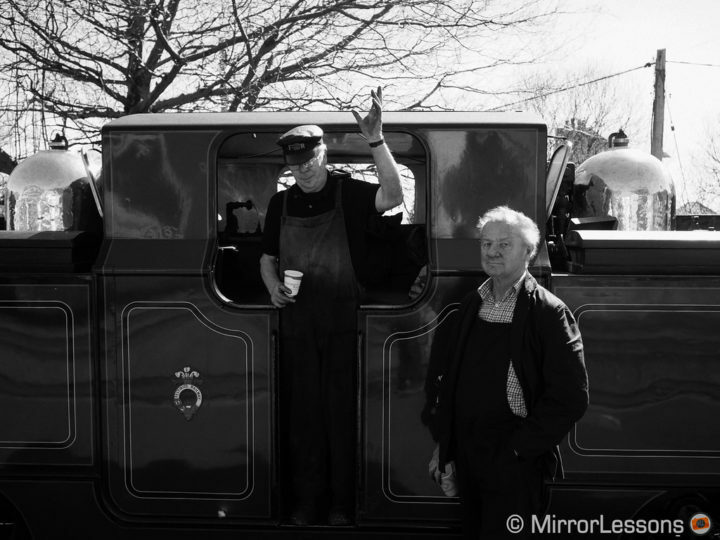 Though usually a derogatory expression, in the case of the M.Zuiko 12-40mm f/2.8 PRO, the fact that the lens can do many things quite well actually works in its favour. It isn’t a macro lens, but it can take excellent close-up shots with wonderful background rendering. 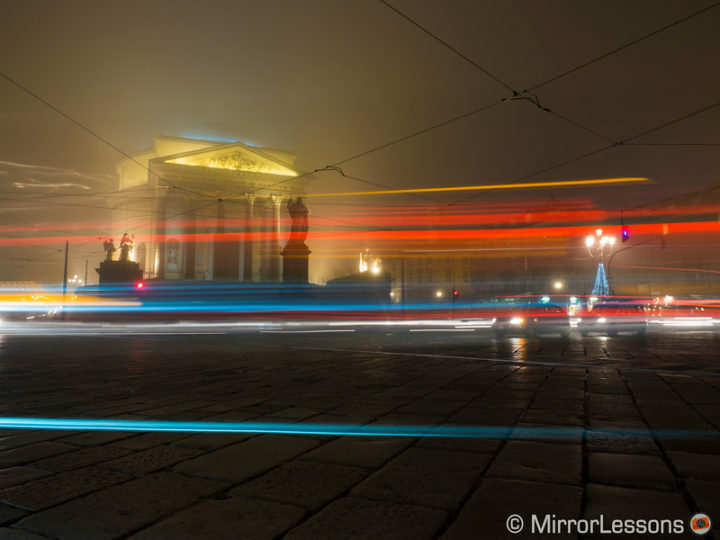 At 2.8, its aperture isn’t unbelievably fast, but it is constant, meaning that low-light shooting isn’t an issue. It isn’t as small as some other MFT lenses either, but where it lacks in compactness it gains in excellent optics and sharpness. It is no wonder that many professionals who shoot events and weddings have given up using two different primes in favour of the 12-40mm on its own. It is just that versatile. 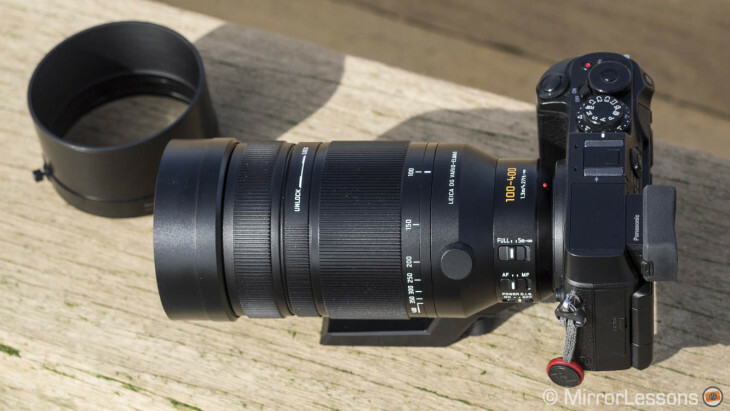 The second “Jack” of Micro Four Thirds lenses is the wonderfully versatile Lumix 35-100mm f/2.8. For the longest time, it was the only professional zoom with a constant 2.8 aperture for Micro Four Thirds, and despite the subsequent appearance of the M.Zuiko 40-150mm f/2.8, it remains the most compact option of the two. 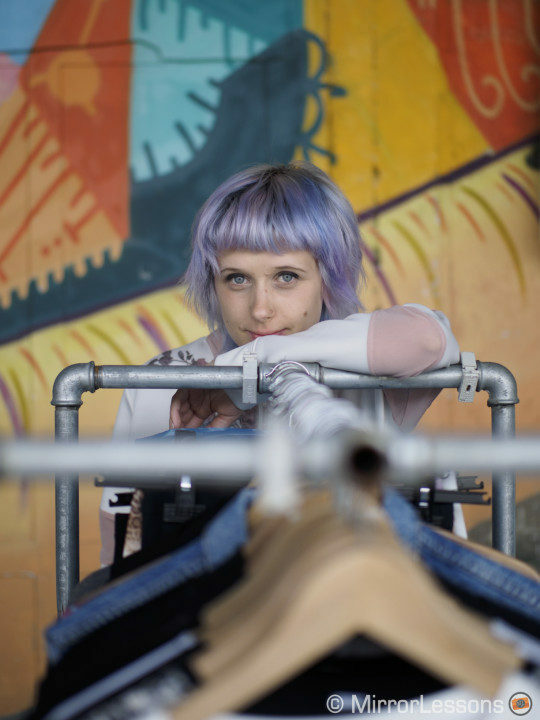 So, its compact nature aside, what else do we love about the 35-100mm? As we mentioned, it has a 2.8 constant aperture across the entire zoom range, making it useful for shooting in low light and isolating subjects from the background. It also has a splash and dust proof body and includes Power O.I.S. although you will probably prefer to give priority to the camera’s 5-axis stabilisation. And most importantly, sharpness is nothing short of excellent. Recently, Panasonic released a “mark II” version of this zoom which has been optimised on a hardware level for Dual I.S., 5-axis Dual I.S., and 5-axis Dual I.S. II, which are the latest optical and in-body image stabilisation systems from Panasonic. However, since the E-M1 II cannot take advantage of Panasonic’s Dual I.S., it makes just as much sense to go for the original since the optics are identical. Of course, the 12-40mm f/2.8 and 35-100mm f/2.8 are anything but cheap, which is why we recommend the 12-50mm f/3.5-6.3 to less demanding users. 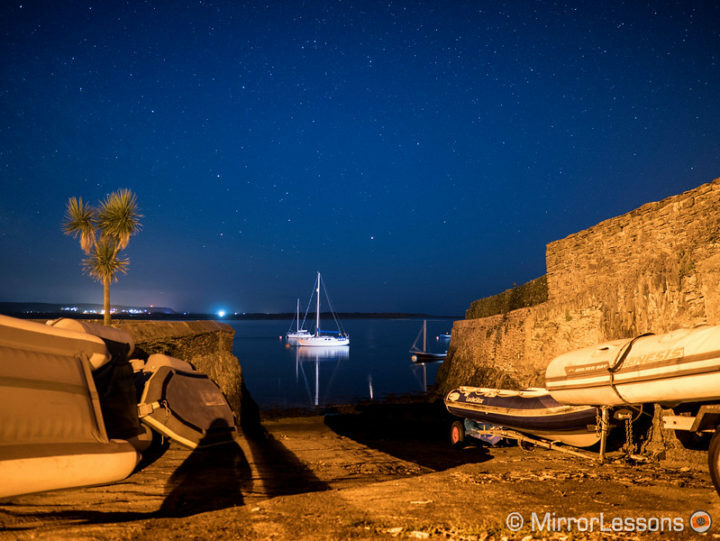 It covers a slightly wider focal range than the 12-40mm and benefits from a splash-proof build. However, the aperture range is slower and the optical quality, inferior. The minimum focus distance is 20cm, so it can be used as a makeshift macro solution, and the zoom ring can be switched between direct and power modes (Electromagnetic zoom mechanism), facilitating movie recording. It is a great lens to get you started on your photography journey owning to its small size, and won’t look out of place on the E-M1 II.